All of our instructors are now back on site this week in preparation for the site reopening on Saturday 10th February. Every part of the course and every piece of equipment has to be checked; from helmet straps to the steps going to the tower to the cargo net to the 128 maillons (the bits that hold the obstacles onto the course). 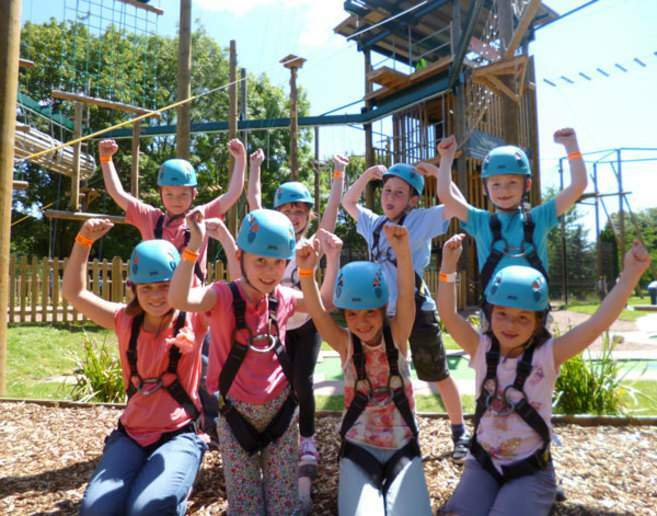 Our season will being in February half term when we will be running our popular Adventure Camps for children to be able to enjoy a high-energy, fun school holiday. We also hold corporate days and we're able to accommodate group and school bookings so there really is something for everyone. We can't wait to see the excitment and satisfaction in the faces of both adults and children alike when they have completed the exhilarating course; trust us, its a good feeling!